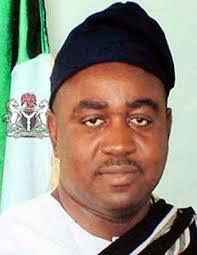 The former Governor of Benue State, Mr Gabriel Suswam, is expected to be arraigned by the Economic and Financial Crimes Commission (EFCC) on Wednesday over allegations bordering on money laundering to the tune of three billion Naira. In a statement by the anti-graft spokesperson, Mr Wilson Uwujaren, the EFCC alleged that Mr Suswam and his former Finance Commissioner, Omodachi Okolobia, diverted proceeds of the sale of shares owned by the Benue State government and Benue Investment and Property Company Limited. The agency said the offence levelled against the former Benue Governor was punishable under section 15 (3) of the Money Laundering (Prohibition) Act of 2011 as amended in 2012.